Narcissus or Daffodil is one of the first flowering plants often associated with arrival of spring. It brings much needed freshness, sweetness and warmth. 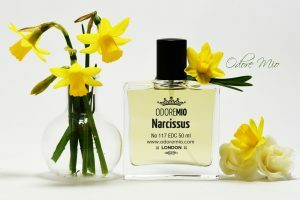 Odore Mio’s Narcissus combines these qualities with fresh Daffodil bouquet supported by juicy citrus, jasmine, and precious woods.